1-3 p.m. Sunday October 28, 2018. 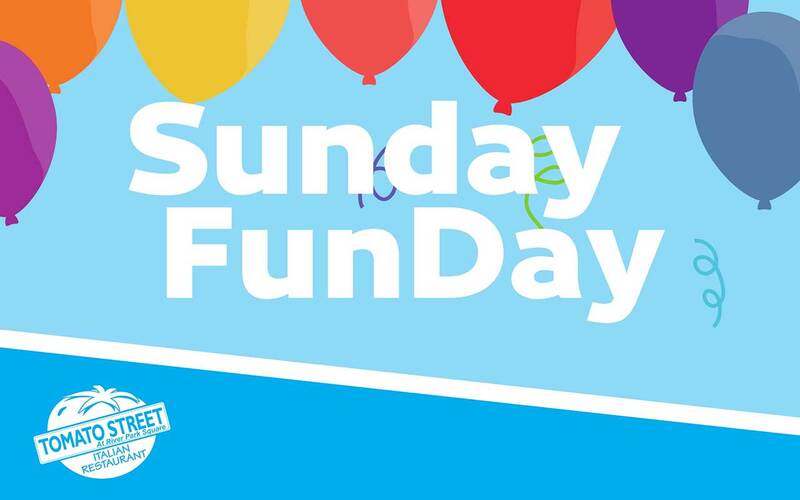 Come down to Riverfront every Sunday between 1pm and 3pm for Sunday FunDay! Play a sidewalk game or get creative with crafts from Tomato Street Downtown in the Carrousel Plaza. Every kid that visits the Tomato Street craft table becomes a member of their V.I.K. (Very Important Kid) Club and receives a free kid's meal at Tomato Street.